Profile for "Kokage no Izumi"
Toyed with by a giant harpy girl, you are finally... [A VR Game which requires a smartphone compatible head mount display (2 eyes). The grand finale to this popular action franchise is now available on Android!! Wall jump, ground pound, shoot and [censored] thru a variety of stages and enemies in this grand finale to the popular action franchise. 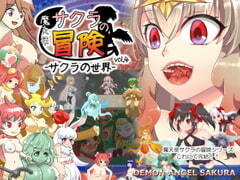 The third installment of the Demon Angel SAKURA series for mobile devices! The third installment of the Demon Angel SAKURA series. An action game of vore, giant girls and boss fights. Every monster girl boss strikes likes a predator. Lose and you'll be her prey!